Your journey only starts with us when you purchase your Rhinomax Camper. Our aim is to make sure you are happy and keep you moving while on the road no matter where you are. Our dedicated after-sales Service and Warranty team are on hand to answer any questions or help resolve any issues you might face and with a national network of recommended service & repair centres we can deal with any issues quickly and effectively. 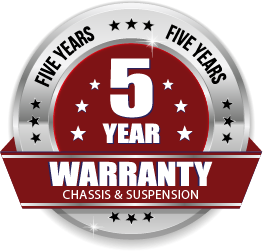 All our campers come with a minimum 2-year manufacturer’s warranty plus an extended 5-year chassis & suspension warranty. Installed appliances including electrical components, cooker, water heater, and batteries, are covered by either our 2-year warranty or the manufacturer’s warranty whichever is greater. Australian steel has been used in the construction of your campers and best practise manufacturing methods have been utilised to ensure a quality and durable fabrication. Customer service is extremely important to us and it is a big part of our success. Your satisfaction is also important to us and if you have any queries or concerns remember we are only a phone call away.